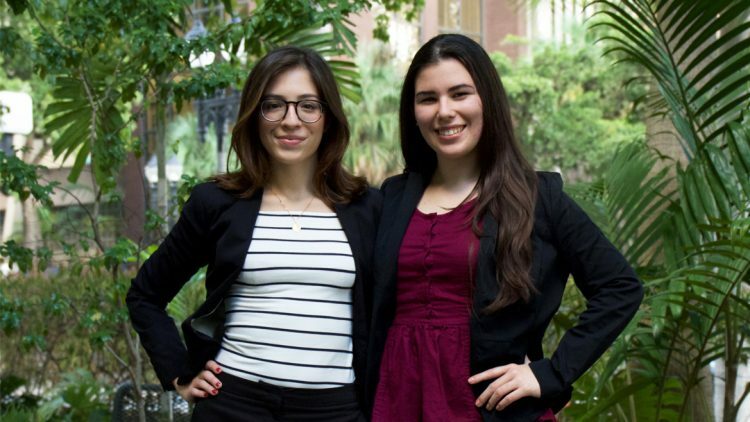 Two editors at The Reporter—Riane Roldan and Adriana Falero—were selected to participate in the second annual Hispanicize student project, sponsored by the National Association of Hispanic Journalists. The conference will take place at the J.W. Marriott Marquis in Miami from April 3 to 6. Hispanicize is an annual event held in Miami for Latino innovators, trendsetters and news producers. This year, the conference is expected to host more than 3,000 people. The program offers students training in multimedia journalism while covering the conference, using social media as the main platform. Student participants will experiment with different types of social posts, including video and audio interviews. Roldan, a 20-year-old sophomore in the Honors College at Wolfson Campus, aspires to become an entrepreneur or filmmaker. She has written for the news and entertainment sections of The Reporter and taken photographs as well as produced multimedia packages. Falero, a 17-year-old senior in the School for Advanced Studies at North Campus, serves as the forum editor for The Reporter and as one of the paper’s main news writers. During her tenure, she has stood out as a feature writer. In 2016, Falero won Best Feature Story at the Florida College System of Publications Association for chronicling the struggle of Sterling Velazquez, an SAS student battling non-Hodgkin lymphoma.